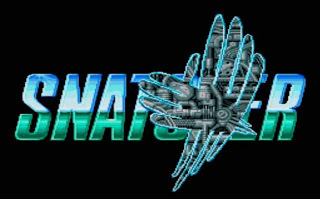 The Gay Gamer: Snatcher announcement imminent? This past weekend, an event took place in Japan that featured a keynote between Suda 51 (director of No More Heroes) Hideo Kojima (Metal Gear Solid) and Shinji Mikami (Resident Evi). At one point, while Kojima and Mikami were sharing stories of their first encounters with each others' works, Mikami mentioned that he preferred Snatcher to Metal Gear Solid. Both Kojima and Suda 51 reacted, "Ah yes, Snatcher." "Oh, should we announce it here?" one of them continued. "Maybe later," the other replied, "during Hidechan Radio?" (The show later lead to the live recording of Hidechan Radio by Kojima Productions). Does this imply a Snatcher remake/update/sequel may be in the works, and an announcement can be expected soon, or were Kojima and Suda 51 simply playing with the audience? Having played--and loved--the Sega CD version of Snatcher back in the day, I can only hope it's the former. Read 1up.com's great recap of this event here.